The Napa County Transportation and Planning Agency (NVTA) is conducting a “Travel Behavior Study” which is a joint project with Napa County and is the first step in developing a comprehensive Countywide Transportation Plan. This study will allow us to better understand the details of how travelers move inside Napa County, including visitors. Most standard transportation data sources focus on the daily commute travel because this is generally when the system is most congested. In Napa, with nearly 3 million visitors per year, understanding the movements of visitors within the county is of critical importance to understand traffic patterns and transportation demand. 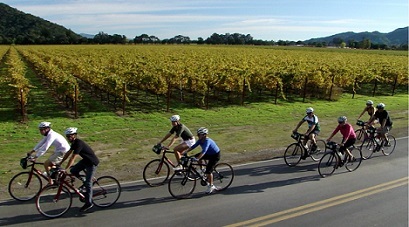 The study will make use of several different sources of information including basic traffic counts at selected locations, mailed surveys based on the capture of license plate numbers, cell phone tracking data (information about where a sample of vehicles travel within Napa County without identifying the owner/driver) and finally, detailed intercept interviews at selected locations, including 30 wineries throughout the county. To learn more about the approach, data analysis and objectives of the study, click here or download the latest presentation of the Napa County Travel Behavior Study – Board Meeting Presentation. For additional information on the overall services to be provided within this study click here. A Community Advisory Committee (CAC) is formed to assist NVTA and the County of Napa with the development of this study. The CAC will meet during different stages of the study. Members of the committee are comprised of representatives from business and wine industry groups, and other community stakeholders. To view past meeting agendas with topics of discussion click here. To view the committee member list click here. 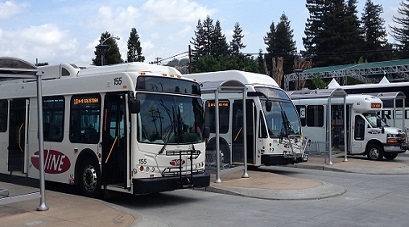 Please contact Danielle Schmitz, NVTA at (707) 259-5968 or dschmitz@nvta.ca.gov. The Final Report of the Travel Behavior Study: Dec. 2014. The Napa County Travel Behavior Study Powerpoint Presentation: NVTA Board Meeting Presentation: Dec 2014. The Napa County Travel Behavior Study Consultant Scope of Work. Napa County Travel Survey Handout: Oct. 2013. Travel Behvior Study - Community Advisory Committee Member List. The Napa County Travel Behavior Study - Community Advisory Committee: Agenda, Aug. 2013. All documents on the Travel Behavior Study are available in PDF format for download and print at your convenience (see upper right hand corner of page).